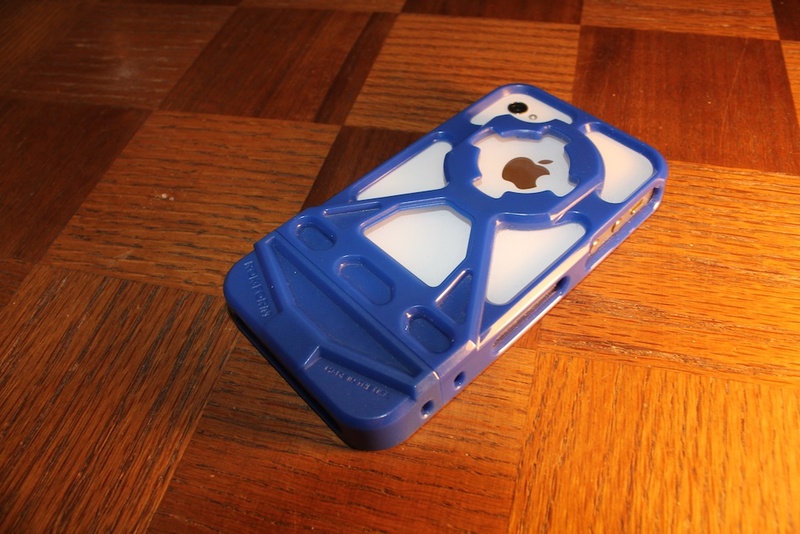 Rokform is known for their industrial metal cases for the iPhone and iPod Touch. While I was visiting Rokform at Macworld 2012, they were nice enough to let me know about their latest case, the Rokbed V3 for the iPhone 4/4s, which they gave me to try out free of charge. Below is a detailed review of this great looking case. To start, the Rokbed V3 offers a unique industrial design made from a sturdy plastic construction. This offers great drop protection because of it’s solid build and the rim that protects the screen from falls and other mishaps. This case also includes an optional anti-slip rubber insert which not only keeps your iPhone protected from falling off the dashboard of your car, but also absorbs shock if dropped. In terms of drop protection, this case gets a definite “A+”. Scratch protection, on the other hand, is definitely lackluster. This is because of the open-faced back of Rokbed V3. While it may provide more scratch protection than an Apple Bumper, it definitely falls short when compared to other “closed-back” cases. This may be a downside for some but is necessary to keep the cool industrial look of this case. The most important feature I’d like to point out about the Rokbed V3 is that it can be used for more than a case! 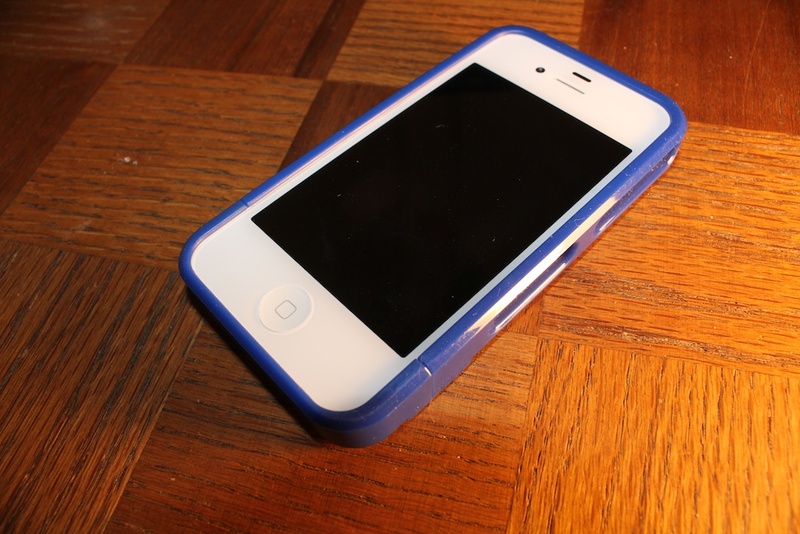 This is because of the built in “locking mechanism” which is located on the back of the case. 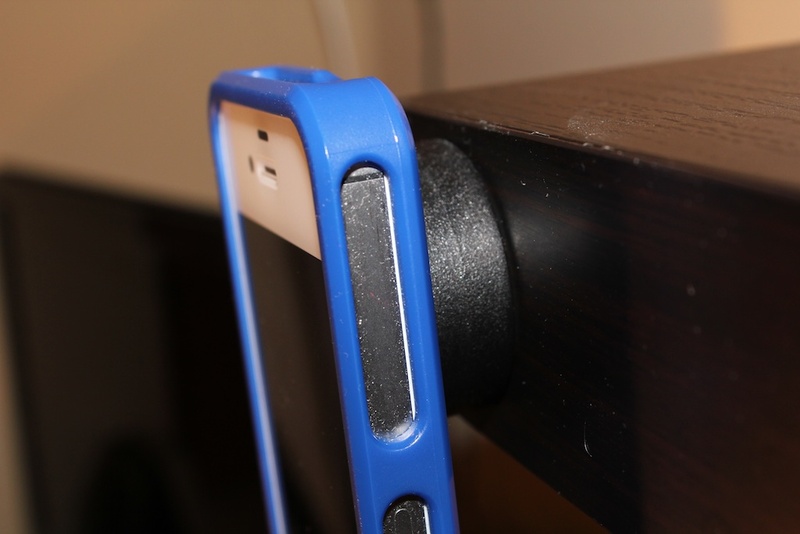 This allows you to mount your iPhone to a wall with the included wall mount or do a number of other tasks with accessories that are available for purchase on Rokform’s website. For instance, you can mount your iPhone to a tripod with the Rokbed V3 Tripod Mount. Or you can attach the iPhone to your belt using the optional belt clip. The Rokbed V3 is most beneficial for someone who is often at risk of dropping his or her iPhone. Plus those cool “extras” which are available for purchase from Rokform’s website certainly makes the case more versatile than others. It isn’t for me, as scratch protection is at the top of my list of what I need in an iPhone case, due to the fact that I keep my iPhone in a messenger bag with keys and other scratch dangers. The Rokform V3 case is made in the USA and is available in twelve colors from Rokform’s online storefor $39. As always, check back to Tapscape soon for more product reviews, app reviews and breaking news. Thanks for reading!